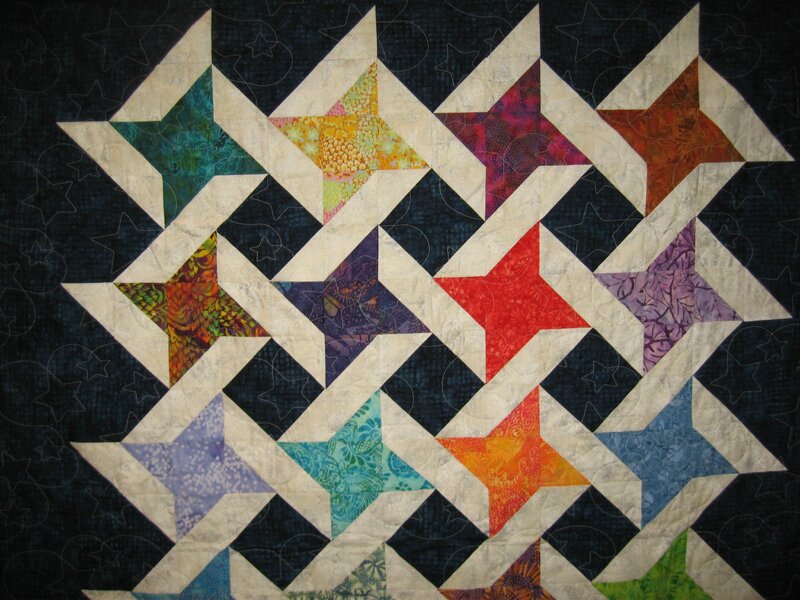 This quilt looks very intricate, but it is made of half-square triangle blocks and flying geese blocks (made by the no-waste method). Choose whatever fabrics you like—a night sky of batiks, or a garden full of flowers. It is really fun to watch it come together.